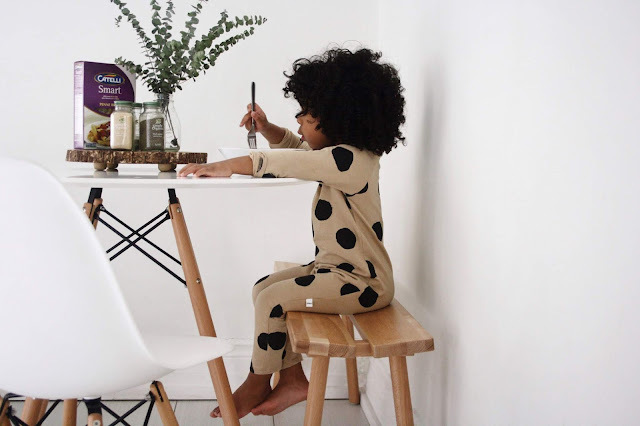 Raising a plant-based child, with proper nutrition and satiation, can be tricky some days. But that’s why we have go-to meals that are not only consistently toddler approved, but also quick and require basic items from your average grocery store. Basing high protein add-ins with a whole grain rice or pasta. We usually opt for pairings and toppings that are fool proof with our son like: cooked sweet potato – 5g protein per cup (delicious with a bit of rose sauce), peas – 8g protein per cup (excellent in mac’n’cheese style dishes), steamed cauliflower or *broccoli – *more protein per calorie than steak, or even chickpeas in cold pastas (see below). Topping dishes with things such as nut-based sauces and “parmesan” alternatives, pumpkin seeds, cooked lentils, raw spinach, or a half avocado are a tasty helping hand too. In addition, choosing pasta like Catelli Ancient Grains covers 75% of the daily recommended whole grains servings and 32% of that for fibre or Catelli Smart which is their high fibre, low sodium, no cholesterol offering — makes sure we’re getting all that we can out of one dish. Dot romper, from Sēm Label. (Ethically, sustainably made in Canada). 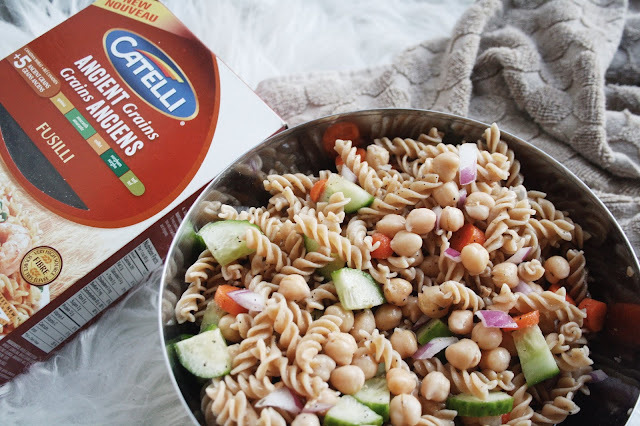 This post is in partnership with Catelli Pasta. Wife. Mother. Stylist. Image Consultant. Vancouver’s 2018 Top 30 Mom Blogger. Join my exclusive email list to stay in the know about any new posts, happenings, and updates! © The OM Edit. All rights reserved.